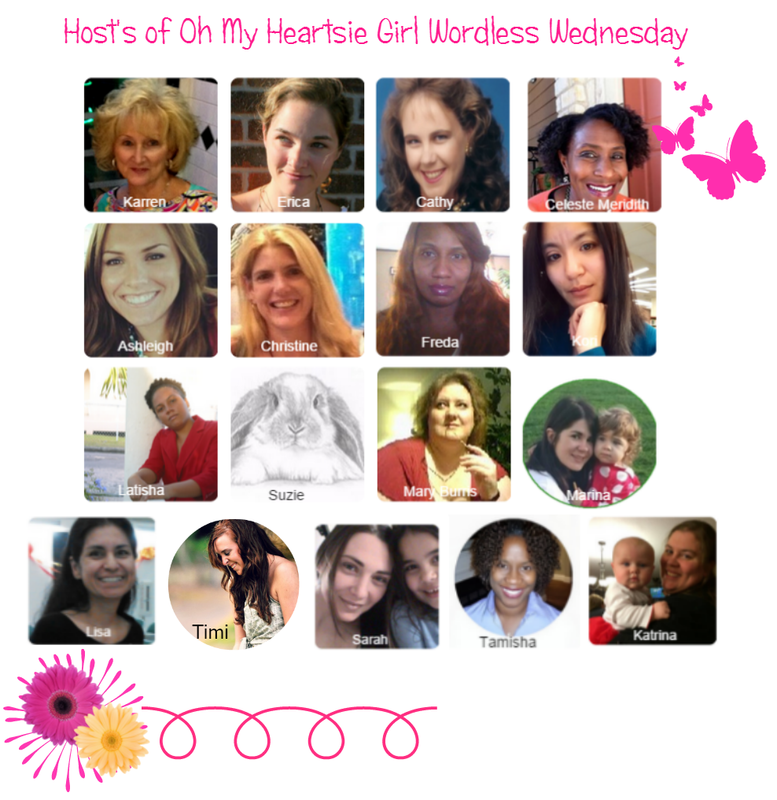 For the month of April, I joined 16 wonderful ladies to co-host Wordless Wednesdays. This is my 1st link up which I’m excited be a part of. This wordless Wednesday is different than other, since your post doesn’t have to be wordless, so everyone can participate. This is a great opportunity to meet new bloggers, check out new blogs, read interesting content, view wonderful images (for those who choose to stay wordless) & mingle. 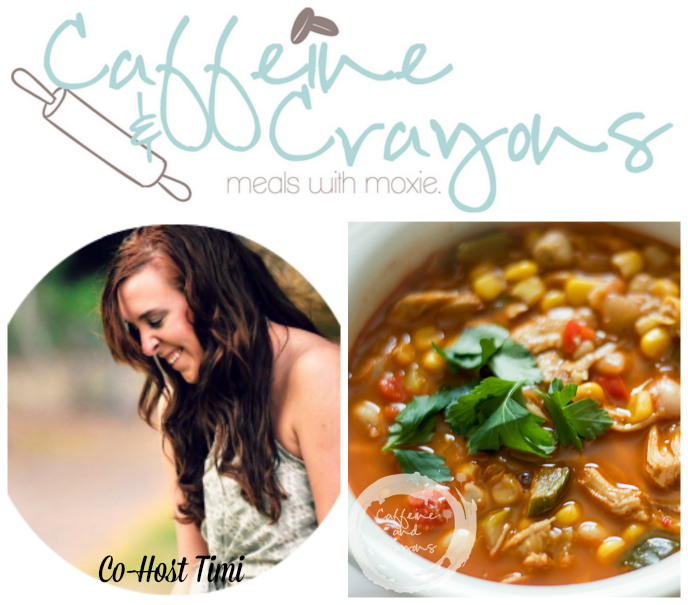 Twitter | Bloglovin | Google+ | Facebook | Pinterest Co-Host Sarah Hamlin // Living Intentionally// 15 Money Saving Shopping Tips// Over the years, I have learned through trial & error different tips that actually work to keep my budget low. 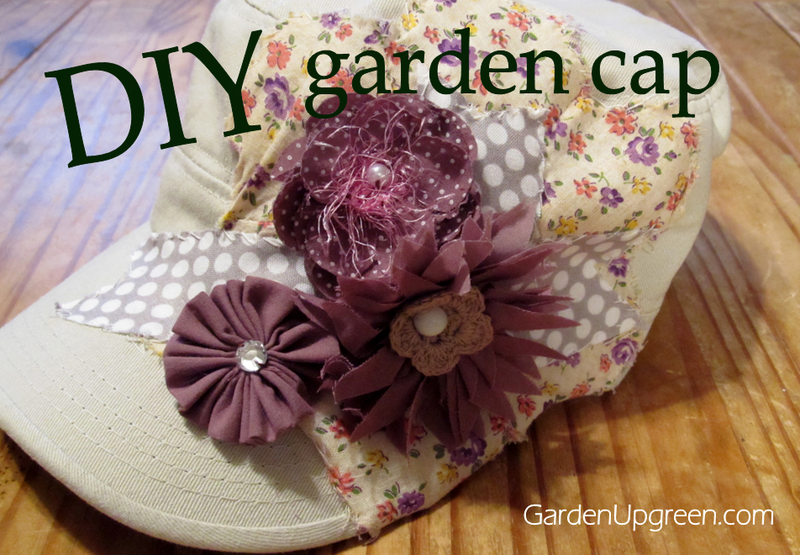 I’m sharing 15 proven tips that I use, which include some new ideas. Twitter | Bloglovin | Google+ | Facebook | Pinterest Co-Host Latisha // AskLatisha // Dreams, Dream Boards & Reflection Found a piece of paper in my drawer with a list entitled “Dreams.” I write list like that every so often in my journals. As i’m getting ready to transition to another season of growth in my life. It is good to reflect on what stage God is at in opening doors for these dreams to come true. Happiness is something we all strive for with our lives. All too often we get caught up with one thing or another that steals pieces of happiness whether it’s due to stress, drama, over booked, burn out etc. As the weather gets warmer, lets think of numerous ways to increase our happiness so we are truly able to enjoy the nice days ahead. 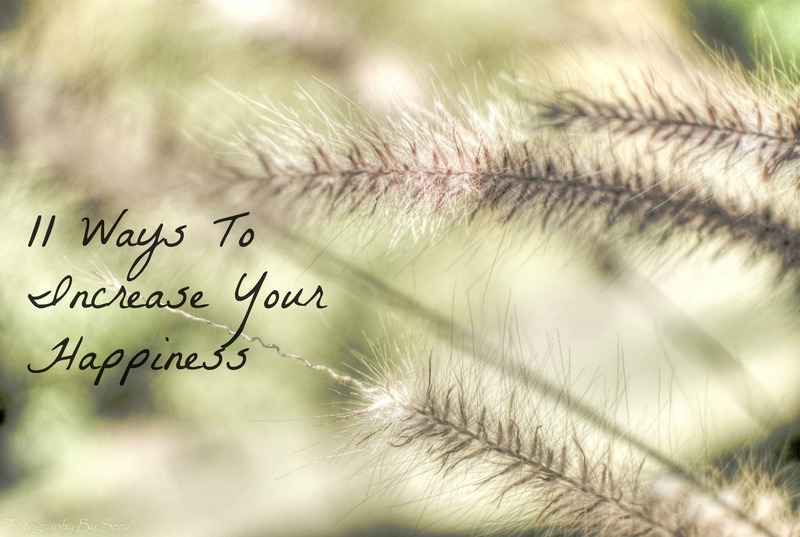 Below are 11 ideas that can help you increase the joy in your life. Growing up, I really did think my knight in shining armor would rescue me from all the hardships I dealt with early on. I always thought someone would save me from the pain and suffering I endured. But as adults, we know all to well, life isn’t a fairy tale, no matter how it looks from the outside. Don’t get caught up with unrealistic expectations and miss out on the now, on the life you built. Living to long in negative land will warp your mind & have you think of negative things every time something happens. Instead, stop yourself, and retrain your mind to think of positive things during these times. At first this will seem weird & unnatural. But over time you can change your mindset and start thinking more positive. Giving back, helping others, or volunteering are great ways to increase your contentment which in turn increases your happiness. As the old saying goes “the world doesn’t revolve around you.” It feels nice to help others without having an agenda. And who knows what doors that will open because of it. Journaling is something I have always done in one form or another. Years ago, I changed this habit because I wanted to do something more uplifting, more positive. That’s when I created my motivational journal. This has newspaper clips, magazine clips, writing, drawings, painting, pics etc. Every time I need a pick me up I refer to my journal. I have a painted page with all my positive traits on it for when I’m feeling sad or having a pity party. Or if I have a thought I don’t want to forget like my top 10 places to visit one day or starting my own creative business. I will accomplish both one day, just not today. This journal keeps me ideas for me till I am ready to act upon them. This single habit has brought me a lot of contentment over the years. Being with people all the time, never getting any time to ourselves, will eventually drain us. Spending time alone will help you reconnect with yourself, recharge your battery, & appreciate who you are. Dig deep and really get to know yourself which you can do through exploration, activities, mediation etc. Too often I think we get caught up in the past or the future and forget to enjoy & live in our present. When we do this, we are stealing futures joys and contentment from ourselves. Enjoy the present, live in it, & be thankful you have another day here with your loved ones. Stop replaying a scene over and over in your head thinking about what should have or could have or would have happened. The scene has already played out, stop over thinking, analyzing, stressing out about something that was beyond your control. Move on before it steals pieces of happiness from your present life. Think back 10 or 20 years ago. Would you have wished to have what you have right now? The life I lead now, would be something I wished for 10 or 20 years ago. Having the family I always wanted was number 1 on my list. And because of this, I am appreciative for all I have, especially on my bad days. Hasn’t anyone ever told you, it’s the small things in life that matter the most? Don’t over look the mundane in your everyday. Those are the moments you won’t forget, that will bring a smile to your face years later. What are some other ways that help to increase your happiness? What else can you add to my list? What has worked for you in your life? 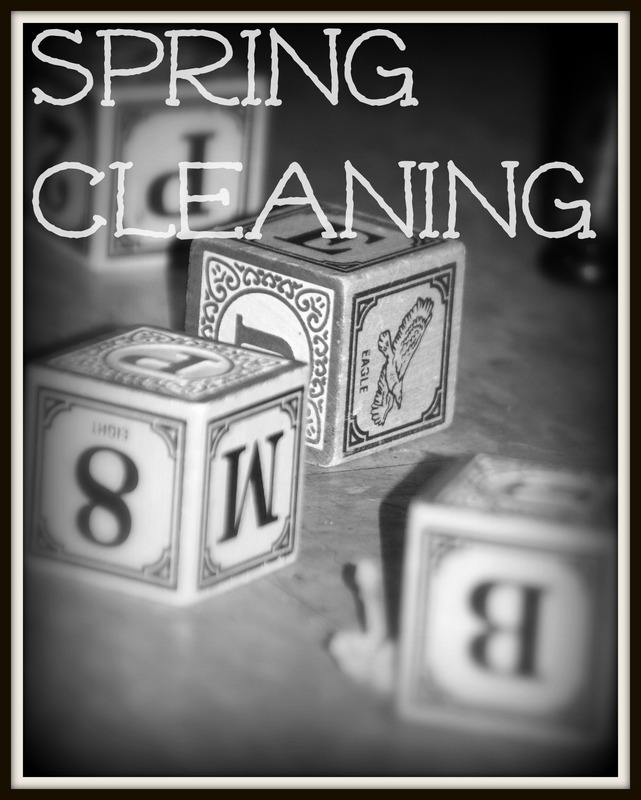 For the month of April, this blog will be taking part in a challenge, so my posting schedule will be a little different because I am participating in the A to Z blogging challenge. Have you heard of this? It’s where you are challenged to write everyday in the month of April starting with the 1st and using the letter A for a post. I read this and thought what a great way to do more with your blog, have fun, meet new bloggers, & dig a little deeper into your blogging theme. For me, I will be exploring living simple world……..It’ll be simple living A to Z. “To provide an example: My “A” topic in the first year’s challenge was a debate using April Fool’s Day. 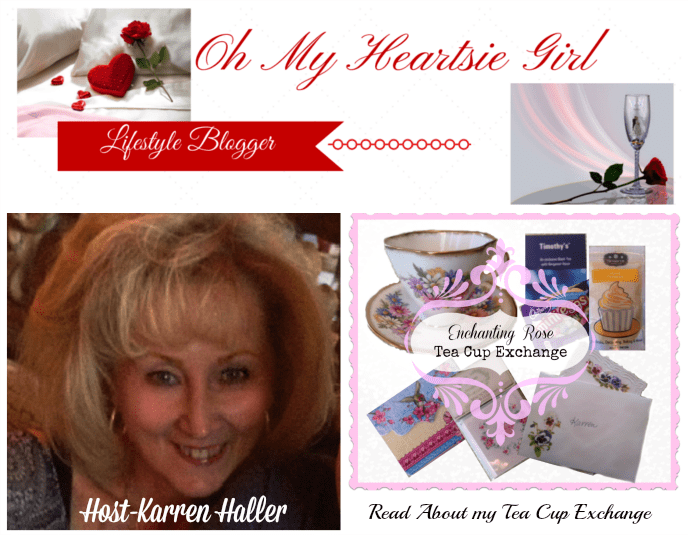 In 2011 my “B” topic was Blog Boggled–a regular feature on my blog. For the letter “C” one could use candy or cake and post a recipe. D could inspire a post about the letter grade”D” as you might receive on a test in school. Maybe F could be represented by FE, the symbol for iron. Try to be inventive and surprise us. Hopefully your posts will be at least 100 words to show that you really put some kind of effort into your post. Creativity can certainly come in less than 100 words. In 2011 Doris Plaster wrote a series of 50 word stories that eventually she published in book form. If all you do normally is post a quote or something short, then keep it in the alphabet theme. Don’t worry about your blog’s subject matter– this will work for absolutely any blog. If you only post about food or animals or crafts or whatever, you can come up with alphabetized themes. ” taken from A to Z Challenge.com. Will you join me with this challenge? Have the kids be responsible for something whether it’s helping with the food, setting the table, getting all the craft supplies ready, or finding the games…….make it a family event. I usually find great deals on dresses for my two little ones, spending around $5/ea. I 1st check stores like Burlington Coat Factory or Kids R Us for their clearance or cheap dresses. I don’t by special occasion dresses since my kids would only wear it once or twice. To me this is a waste of my money. Instead I find the cutest spring/summer dresses, making sure it’s something they can wear through the seasons. That way I get more bang for my buck. But if I can’t find anything new, I then check out local consignment or thrift stores. There hasn’t ever been a year where I couldn’t find an outfit. Got a small budget, no problem. Host a potluck and have someone bring something that way one person isn’t responsible for it all. Why buy decor you can only put up for a short period of time? 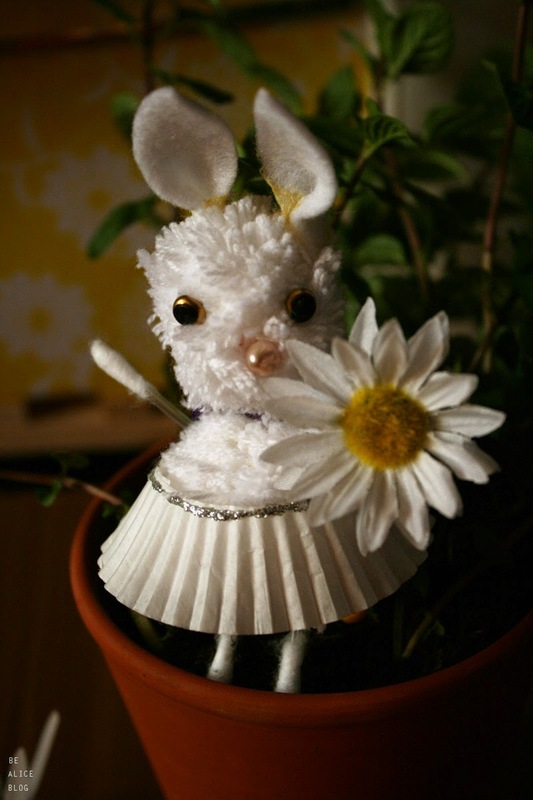 Instead buy spring decor & add in a few Easter decor from the dollar store if you want something Easter. 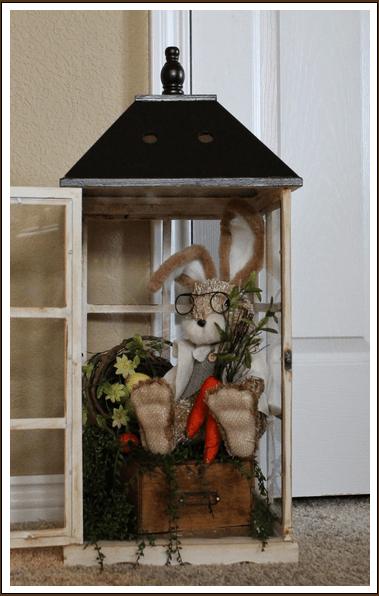 Sometimes it’s hard to find spring decor during Easter, if that’s the case just buy decor in springtime colors light pastel blue, pink, yellow, greens. Looking for decor but don’t want to spend a fortune. Check out your local dollar store, you might be surprised. This year I found cute mini colored eggs I used to make candle wreaths. Then the extras I just scattered across my mantel. Viola there’s my Easter decor that fits well with my spring decor. And it’s super easy to remove when the holiday is over. Instead of buying Easter themed items, I buy things my children can use in the nice weather like a sand bucket as a basket and i include things like bubbles, jump ropes, chalk, kites, sunglasses etc. This way not only are they receiving a basket of gifts, they are getting things they can use for a long time, instead of using it for a day or two. For older kids, you wouldn’t buy summer things because they wouldn’t want them. Instead make a teen basket filled with things they use regularly like soaps, lotions,deodorants etc. And throw in some candy to make it fun. This way they have things they need or want & they get a holiday basket. Some stores do a coloring contest where the kids can enter to win a prize. We won one two years ago and got an awesome $25 gift card to Build A Bear. 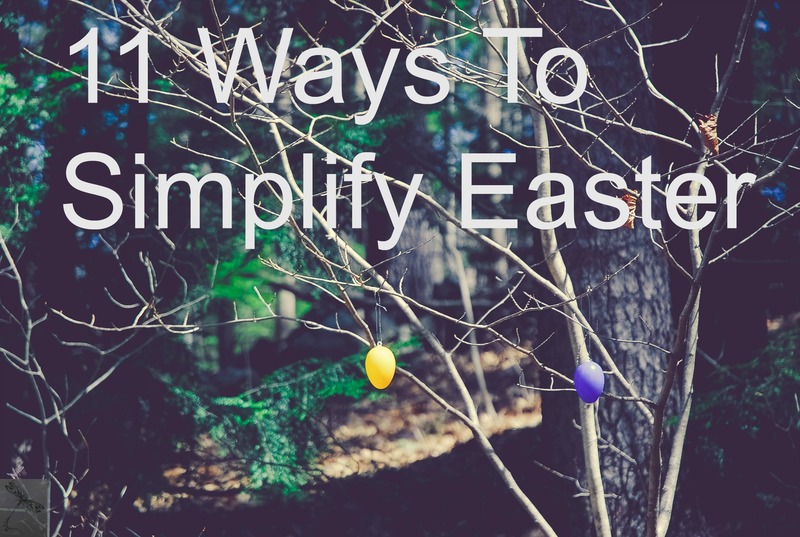 How are you simplifying your holiday? Any helpful tips or ideas? Short post today, since I’m not feeling well. 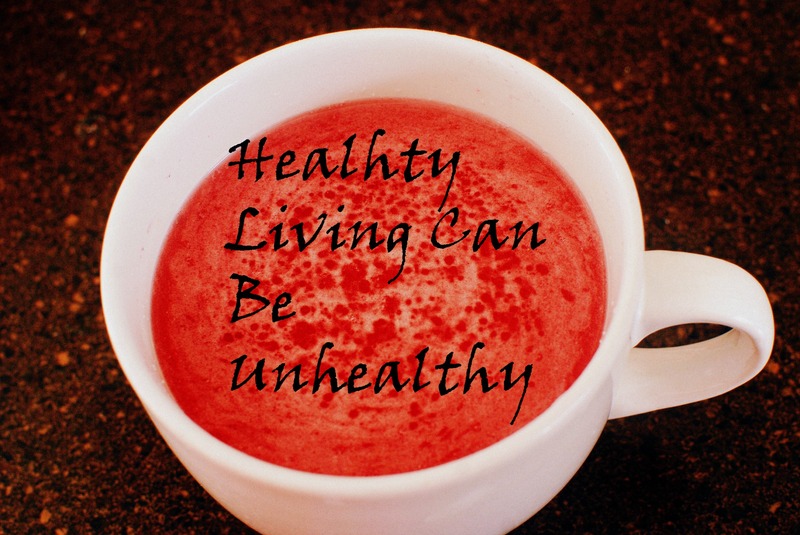 I am leaving you with my thoughts on people taking their healthy living journey to the extremes. If you’ve been on here long enough you know that being healthy is just as important to me as being frugal. It’s important to nourish your body with the nutrients it needs to maintain your health. It’s important to do your research and continue your health education as our world changes. Worrying about the chemicals in our foods is completely understandable, so grow your own or buy organic. But letting your worry manifest into an unhealthy obsession can take over yours and your family’s life. If you’re not careful, this your obsession can bring unhealthy consequences which defeats your original purposing of living a healthy life. 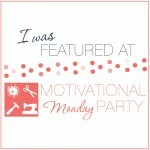 Last week I overheard something I reminded me on how far some people take their healthy journey. I was in parent pick up line last week and I overheard a few moms talk about eating healthy & what they pack their kids for lunch. The moms were so proud to send their kids with things that I thought were a little odd like strips of seaweed with water as their only snack. But to each their own. Then they went on to say how they are happy they taught their kids that if they eat foods that “normal” people eat, it will really harm them. Their kids are so afraid of food that they would rather go hungry than eat something their parents wouldn’t allow. I tried hard not to pass judgement, but why on earth would any parent want to put so much anxiety about food onto their children? Could this cause their kids to develop unhealthy relationship with food down the road? Or an unhealthy body image? What do you think? Dehydrating is a great way to use up your fruits and veggies that are about to go bad or that you find on clearance. I’ve been meaning to do more with it, but never got around to it till now. And let me tell you, I absolutely love it! Not only is it easy to do with minimal prep & cleanup, but its healthy, frugal, delicious, & a great way to extend the life of your food. Why have I waited so long to start doing this? I plan on exploring the wide world of dehydrating, making my own jerky, fruit leather, chips, spices, & raw cookies. Today, I’m sharing my kiwi chips. Dehydrating kiwi successfully depends on one thing, having a slicer to slice them thin enough. Invest in a mandolin slicer to make this successful. For the longest time I didn’t have one and the ones I saw online or at Target where around $25-$55 which wasn’t in our budget. Then Job Lots randomly carried it and I got it for super cheap. Having a slicer like this will make all the difference between having your fruits & veggies dehydrate correctly or having them being a sticky gooey mess. 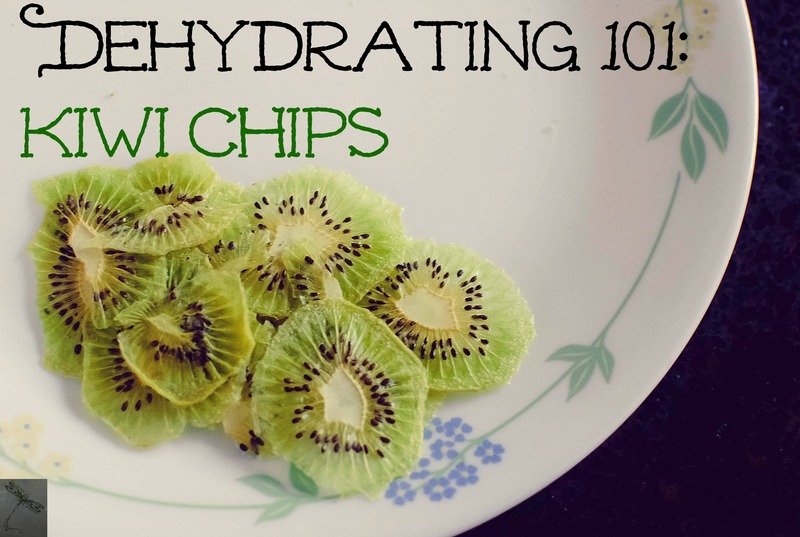 Once you’ve got your slicer you’re ready to make your own kiwi chips, which is as simple as 1-2-3. 1. Peel the skin off and slice them as thin as you desired. To start I tried the thinnest slice and it worked fantastic. Just make sure you use the same size for all of them or else you will have different finishing times. 2. Place the kiwi slices on the plastic What have you dehydrated? Has it been a success or a failure? Any tips, ideas, or recipes to share?sheet that comes with your dehydrator. Put them close together but don’t have them touch, otherwise when they are done they’ll be stuck together. 3. Turn on your machine and time it for 5 hours. Check them & if you need to continue to dehydrate them till your desired crispness is achieved. Once done, wait a few minutes, then begin to take them off. Place in an airtight container & enjoy. You can store you kiwi chips in an airtight container for a few months to 6 months. Have you dehydrated anything before? If so were you successful? Any tips, ideas, or recipes to share? Every year around this time, I start spring cleaning, which usually entails me doing a deep cleaning of the house. This year I started much earlier since I’ve decided to not just look at our clutter we accumulated but other things as well. When we do a deep cleaning, so often people are only concerned with their material possessions but we need to look at everything from possessions to self talk to people in our lives to our work to our electronics etc. Each area needs a good cleaning every now. It helps us to figure out what we still need as well as what no longer serves a purpose in our lives. As we grow, things change, & what we once needed may be something we no longer do. That’s how life goes. We need to be able to recognize this, handle it, & move on.